"The Duke" - February 2019 - Friends of Freshwater Inc.
Their arrival in Freshwater cannot come soon enough although latest mail suggests an April start. There is also much conjecture about the eventual tenants of the former IGA site in the Freshwater Village Plaza. A DA has been lodged with Northern Beaches Council for a rock climbing facility. As one local resident commented “We can’t eat rocks”. This retail space still has refrigeration and a loading dock suitable for a large fruit and vegetable outlet. Bring forth a return of the Harbord Growers Market, we say. A welcoming clientele will greet you. With Freshwater Village at a low ebb, there is some good news for the Village is that some businesses have either opened or returned. We welcome back Kevin, Caroline and staff member, Raiwin, at Bakers Delight, who previous had the bakery franchise next to the former Growers Market. We have missed them and wish them well. Likewise, next door, Francis Kim, has opened his Sushi Train restaurant and it is destined to do well. 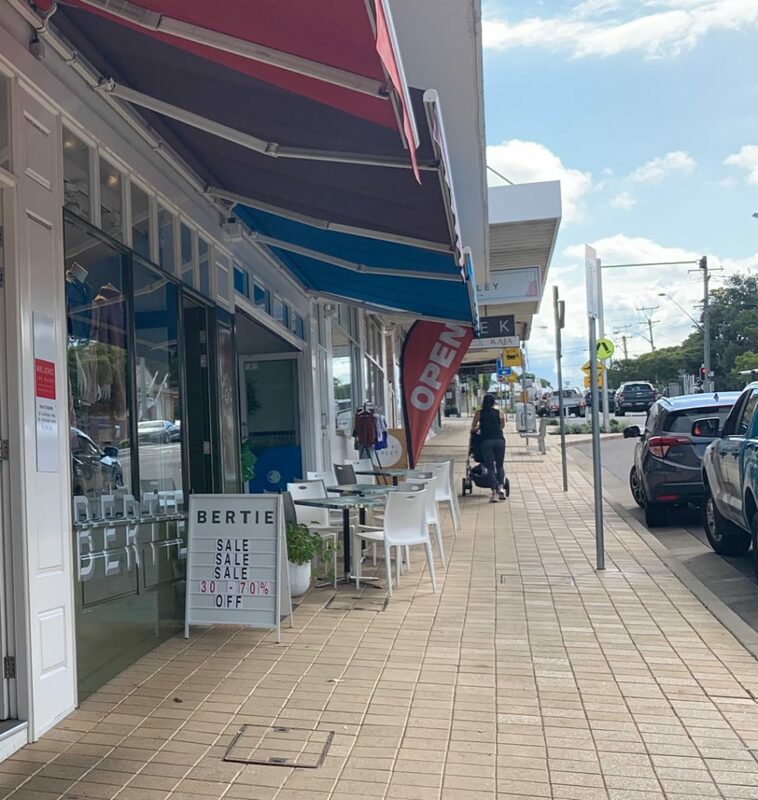 Across the road, in Freshwater Village Plaza, Matteo and his sister, Martina, are concocting special gelato recipes drawn from their upbringing in the suburbs of Rome, where their father has still has two popular gelataria. Construction has commenced on the mixed retail/residential complex in Lawrence Street. Apartments and shops have been selling off the –plan for a number of months and now demolition has commenced and safety hoardings erected. In order to prevent further disruption to the Village from a Two-year construction phase, the Friends of Freshwateris seeking an urgent update on this particular DA given that the development is using the driveway from Lawrence Street, in Freshwater Village, as part of the construction process. in 2018, the Oliver Street Council Car Park was rezoned from community to operational land, in part, to enable construction of the property embraced by DA2017/1294. The Friends of Freshwater lent its support to the rezoning by way of formal submission. 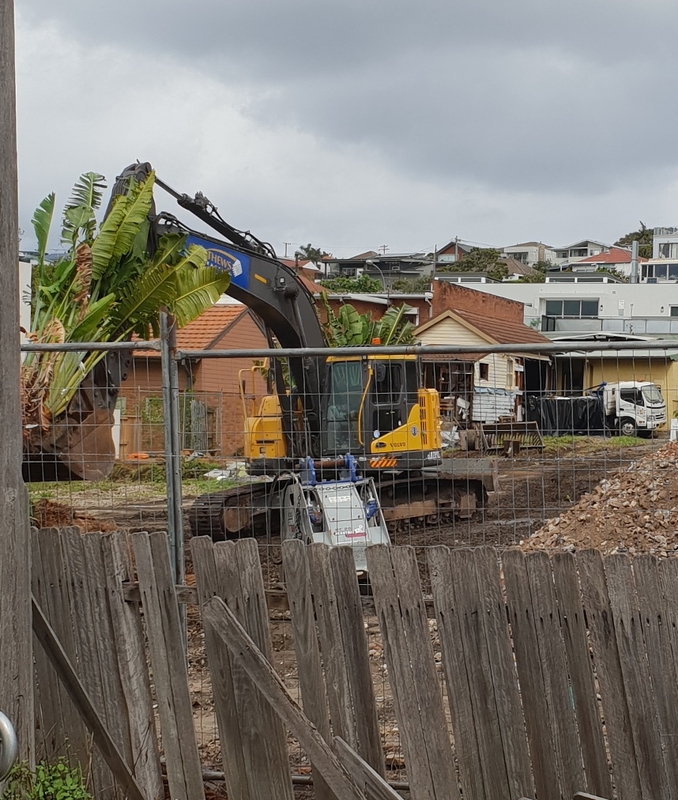 Our objective, of course, is to maintain the veracity of the Warringah Development Control Plan 2012, Part 5 Special Area controls, G5 Freshwater Village. This, in part, calls for the closure of all the small driveways into Lawrence Street. FINALLY! PUBLIC TOILETS IN JACKA PARK. We can now advise that The Friends of Freshwater 5-year campaign to get much needed toilets in Jacka Park has been successful. 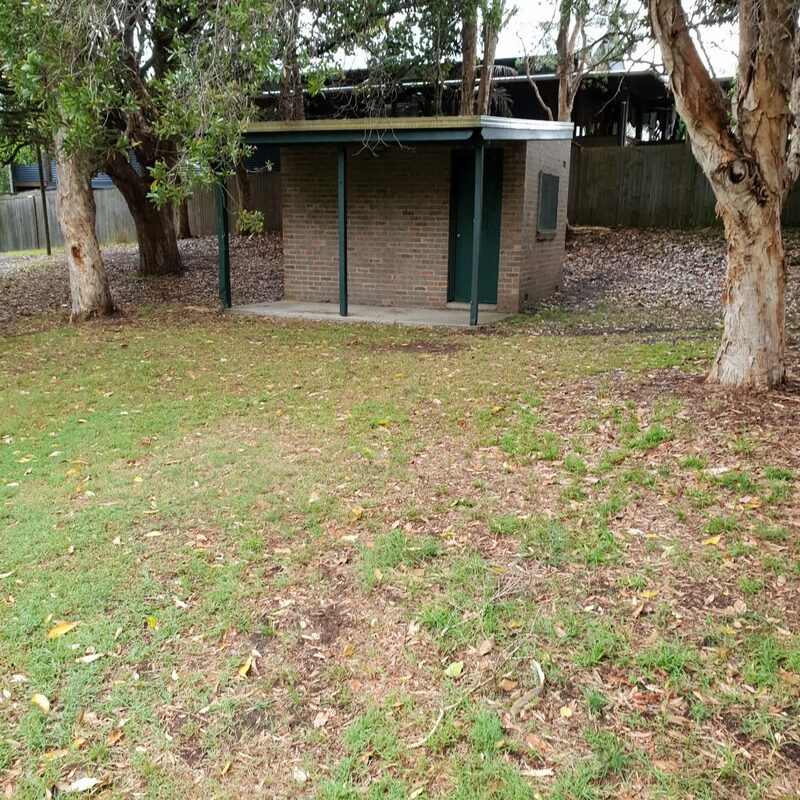 Council has confirmed that the toilet block will be constructed this year (1919-20). We had proposed that an unused Council workers’ shed in the Park be used as a low cost option as the basis for the new toilet facility. We argued that it should be modified to include disabled and baby change facilities. This has been agreed by Council. Additionally, Council is also proposing to upgrade the heavily used children’s’ playground. It is unfortunately located adjacent to the confluence of two tributaries of Freshwater Creek (now a storm water pipe) and is often affected by heavy rainfall. 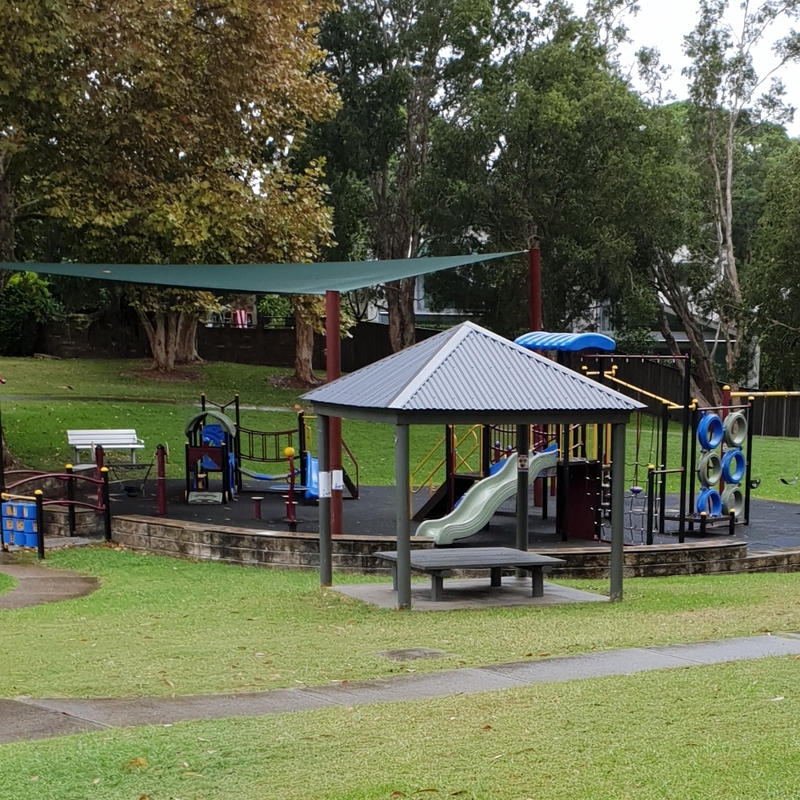 Council is looking for a more suitable site within the Park. PROGRESS ON SOUTH CURL CURL TO FRESHWATER BEACH COASTAL WALK. We have been advised by Council that concept planning is well under way for two Freshwater walkways as part of the Palm Beach to Manly Coastal Walk. This planning and eventual implementation in 2022/23 is funded from the Amalgamation Allocation from the State Government to the Northern Beaches Council. Manly-based landscaping design firm, Thompson Birrell has been awarded the contract to design the Walkways. This firm recently completed the Walkway at Malabar Headland. It is currently preparing design feasibility studies of the sections from South Curl Curl Board Walk to McKillop Park, and the section from Ocean View Road to Freshwater Rock Pool. STRONG SUPPORT FOR HERITAGE FOOTPATH. The Friends of Freshwater is appreciative of your outstanding support to press Council to upgrade the priority of a heritage section of footpath in Soldiers Avenue from medium (never to be built) to be constructed in the 2019 Capital Budget Year. By 3 March more than 100 submissions had been sent to Council on its amended Walking Plan for this Heritage Footpath, probably dwarfing any other submissions to this Public Consultation Process. Since 2012, A Soldiers Avenue of Honour Stakeholders Group consisting of representatives from the Harbord RSL Sub Branch, Freshwater Surf Club; Friends of Freshwater Inc and the Harbord Literary Institute has been working to bring the Avenue back to its former grandeur. This has included the installation of a wall mural: information plinth and commemorative bench, as well as the installation of bronze plaques inserted in the footpaths of the Avenue. We have had great support from the three tiers of government, with Ausgrid undergrounded the high voltage cabling in 2015 to extend the lifespan of the heritage trees. We have also been recapturing the histories of those who served in World War One (and their families) for publication in book form. Council has sought tenders for a fruit and vegetable market to be held on a Sunday in the Oliver Street Car park. These closed on 28 February. Would you like to see a Farmers market in Freshwater Village? If you had a choice between a Farmers market or parking spaces on a Saturday/Sunday, which one would you choose? 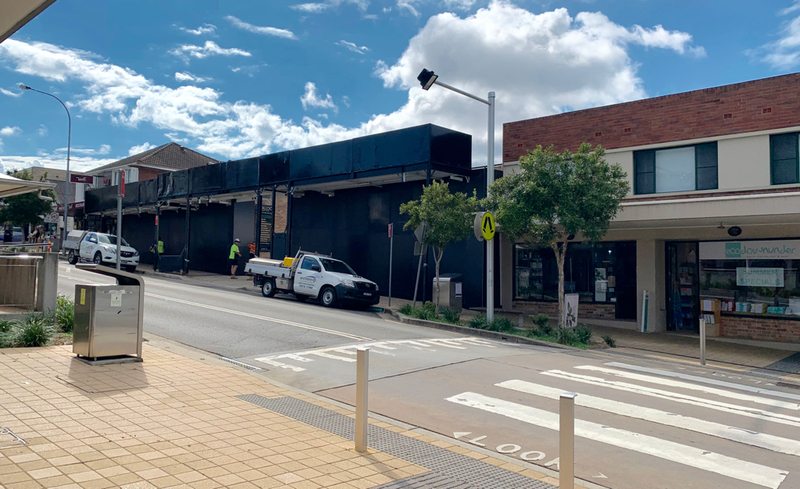 In the last edition of the Duke we mentioned our concern at the arrival of a big end of town parking operator, Wilson Parking, into “the Freshwater”complex at 22 Albert Street and its prohibitive requirements for the 58 car underground parking facility. Feedback from this article revealed that the community and nearby businesses are concerned at the precedent this creates, as no other public or private parking in the Village is subject to a per hour charge or a specified free period of one hour. This precedent is also concerning in that it is based on the assumption that all those coming to the Village for shopping can conclude it within an hour. Overstaying in this car park will cost $6.00 for the second hour, $11 for the third and $18 for the fourth. It is also a cashless payment system. In no other nearby shopping centre whether it be the Mall or Manly is there such an impost provision. At the time of writing, not one car was parked in the car park even though it has been open for more than a month. A critical factor in the life of the Village is the lingerfactor. This is where people can come to the Village to do a range of things including supermarket shopping and other activities including banking, hairdressing, dental services, real estate transactions and of course café and coffee consumption. Together these require more than an hour to conclude, and the parking fee incurred will have an obvious negative impact. It will undoubtedly force avoidance of this car park, and into nearby streets. It could also force other Village privately run car parks into per hour charging. FRESHWATER COMMUNITY BANK 2019 TERTIARY SCHOLARS COMMENCE THEIR STUDIES. For the seventh year, Freshwater Community Bank Branch of the Bendigo and Adelaide Bank has awarded tertiary scholarships to nine students nominated by their respective High schools. 56 students have received scholarship support from the Bank. This year, three of the students came from Freshwater. They included Jacob Feledy from St Paul’s College; Kena Mallender from Manly Selective Campus, and Joshua Smith from Balgowlah Boys Campus. With the other nominees, each had exemplary community involvement which is a requirement of the scholarship. Joshua Smith, who received his primary education at Harbord Public School and was dux of Balgowlah Boys in 2018, was awarded the $15,000 Ken Ward Memorial Scholarship. For each year of his Undergraduate Degree, he will receive $5.,000. There is no other tertiary scholarship program of this magnitude on the northern beaches. Getting the basic necessities of life such as provision of fresh fruit and vegetable; public toilets and footpaths upgraded. Ensuring Freshwater’s fair share of the Council Capital Works Budget. Revitalise the weed-infested southern headland of Freshwater Beach with volunteer and professional assistance. Continue to apply for Grant funding from the three tiers of government for various projects in Freshwater.